Health The answer to back pain? The answer to back pain? As you may know, a few months ago I put myself into a self imposed bootcamp. For 6 weeks I ate mostly protein, vegetables and a bit of fruit and worked out twice weekly with trainer Rhys Brooks. I’ve always worked out, doing regular trips to the gym as well as yoga. The difference was that I had Rhys twice a week instead of once a month or so, when he would give me a program which I would follow until I saw him again. The only problem was that I used to cheat! If he had put 3 sets of an exercise, I would do 2 because I was in a hurry or feeling a bit tired. If he said do a bench press with 8kg weights, I would use 6kg because, well, because 8kg felt a bit heavy! Working out with Rhys twice a week was a bit of a shock to the system. He is that odd mixture of being the nicest, sweetest, most lovely man while at the same time being the toughest trainer who shows no mercy. He gave me weights so heavy that I feared for my joints. I’ve always had lower back pain and it takes a lot of maintenance and care to keep it manageable. Same with my knees. I kept saying that I felt the weights were too heavy or the angle of the lift too awkward for my back to handle. However he insisted it would all be fine. And the amazing thing is, it was fine. As well as all the other many benefits from my bootcamp, the one I didn’t expect, was that my back and all my joints were going to vastly improve. It took me awhile to realise just how incredible this improvement actually was. I have a great physio who I usually visit every few weeks to keep my back from spasming up and causing pain. Since I began my bootcamp 4 months ago, I’ve been to see him once. And other than that one time, my back has been pain free. For the first time since I can remember. As anyone with back pain will understand, this is a joyous result. However I couldn’t quite understand this significant change because it’s not as if I didn’t work out before. I asked Rhys why he thought I’d had such a great improvement. RHYS BROOKS – As we age our bodies will adapt to the environment in which it spends most of its time and unfortunately for most of us 50-70% of that time is spent sitting down. As our body adapts to this seated environment our muscles, tendons, ligaments and joints will also adapt. Hip flexor muscles become chronically tight and hamstring, gluteal and abdominal muscles weaken. This creates structural imbalance in the body and can lead to various aches, pain and dysfunction in the body. 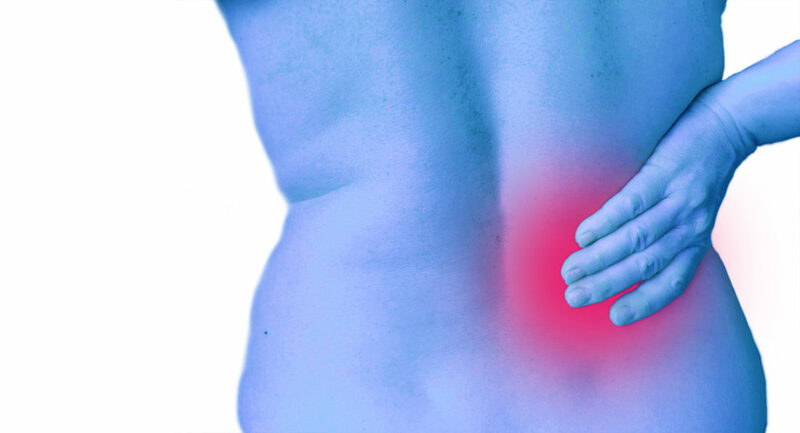 The most commonly affected areas are the lower back, knees and sometimes hips. This is because the muscles that attach to these joints are chronically tight and create unbalanced forces on the joint leading to dysfunction. A well designed exercise program that incorporates mobility drills and stretching is a great way to improve ones’ joint health and posture. Stretching the short tight muscles will give the joint to which they attach more movement and therefore improved function. Further more if we add well designed exercises to the program, we can strengthen the weak muscles that surround the joint and then further improve its health by adding stability. So, if you are experiencing joint pain look to the muscles that connect to it and try to identify if they are tight and inhibiting joint function. Mobility drills or stretches will decrease the tightness. It may be hard to identify this by yourself and you may want to seek the help of a qualified physiotherapist or experienced personal trainer. TIP: To help stretch out tight hip flexors I recommend the front foot elevated split squat. I used these with Glynis to great effect. It’s a great exercise that helps improve lower body structural imbalances. Every time you exercise you could start your session with this exercise. To help strengthen weak gluteals and hamstrings I start clients off with a variety of glute bridges and hamstring curls on a stability ball then progress to free weight exercises. You can look these exercises up on YouTube. In a recent article in Time magazine, September 2, 2014 entitled “Sitting is killing you,”( http://time.com/sitting ) the author describes how sitting has become the new smoking! How it is affecting the health and well being of the populations of the world. However we cannot blame sitting in isolation. I see patients all the time who present with pain and dysfunction on a regular basis. It’s a complex combination of stress, poor posture, ergonomics, lack of sleep and poor nutrition. This also relates to healing following injury. Recent research into tendon and muscle recovery, suggest that more movement and exercise through these structures are what is needed, rather than rest as we had previously thought. The body has an amazing ability to adapt and change to the demands and load placed on it. Glynis recently described how she had done a boot camp style exercise period with her gym trainer. She was surprised to note that both her knees and lower back that had regularly bothered her, seemed to be much better. Interesting! An organisation called exercise works (http://www.exercise-works.org), have long been shouting out the benefits of regular exercise. The message is to be pro-active about your health. Go and see a qualified professional trainer or visit a physiotherapist who follows the wellness approach. Maintain your muscle strength and joint mobility and stop any problems in their tracks before they start. I was kinda hoping the youtube link would take me to some recommended videos. I was kinda hoping the youtube link would take us to videos recommended by Rhys. I’ve searched and there’s a lot out there – I’m guessing the stuff that looks a bit like stuff I do in Pilates is ok.
There’s so much stuff out there and it depends where your tight areas are? For me it’s my back and knees but others may have different areas that are affected. The idea is to identify where, which muscles are causing the tightness and work on those. The ones he specifically mentions are easy to find and any kind of stretching in that area will help. Is the exercise regime good for pains in your neck and shoulders? I would say exercise is good for just about everything. However, for neck and shoulders a good stretch could be in order. If you have had an injury or pain for a long time, I would recommend getting advice and help from a professional.